Your daily Bible journal with a Scripture to meditate on including words to focus on and how you can apply that Scripture to your life. A gratitude space to write 1 or 2 things you are grateful for – beginning the day with gratitude changes our attitude! And least but not last, my favorite space to draw and create your own illustrate faith! I love this Mom’s Bible Journal! I confess that I don’t do a devotional first thing in the morning every single morning as much as I want too. Some days, I get up with 3 hungry children begging for breakfast and I have to do my devotional in the kitchen, standing by the stove, while flipping pancakes, blending smoothies or making waffles! This is life, I know and I’m blessed, so are you! I need to stay focused on giving God the first and best moments of my day, even if that mean I had to do it in stages during my mornings or even throughout my day. 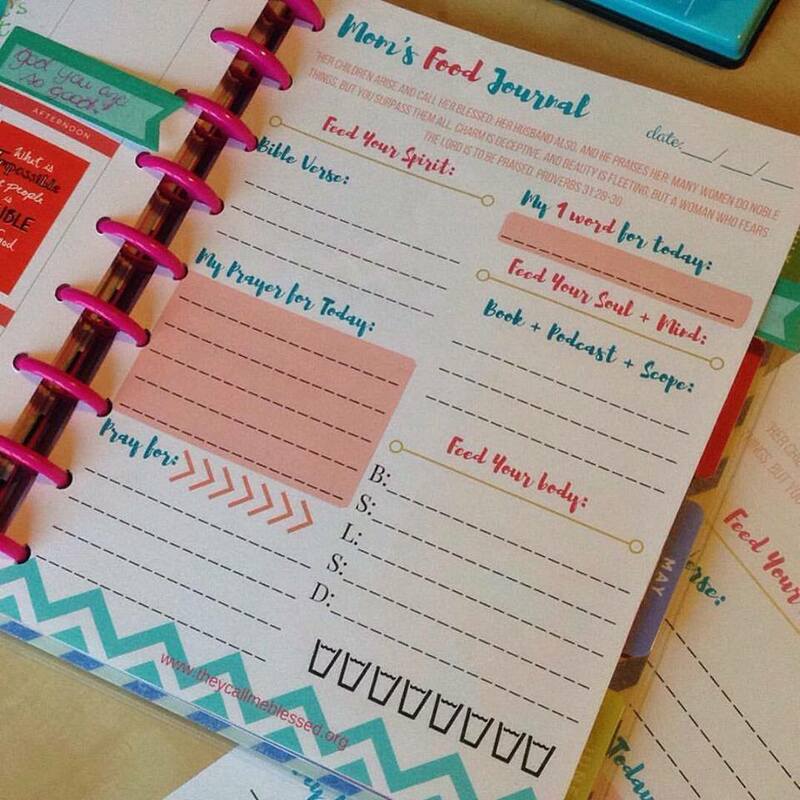 That’s why I created this Mom’s Bible Journal for my Happy Planner! I read my Bible while flipping pancakes and write down my Scripture to meditate on. Write down 2 words that stood up for me while I was reading it or listening to my Bible on Bible App. While kids eat their breakfast, I finally sit down and write down how that word can be applied to my life, pray it and write 1-2 things I am grateful for. Later on, when the kids are doing their homeschool work mostly independently, I sit next to them and color on my illustrated faith space while meditating on the Scripture of the day, write down prayer requests, praise reports, etc. I keep my Happy Planner with me so I can go back to it anytime I have 5 minutes available. BONUS: FREE Mom’s Food Journal. Your daily one-stop place to feed your spirit, soul, mind, and body. 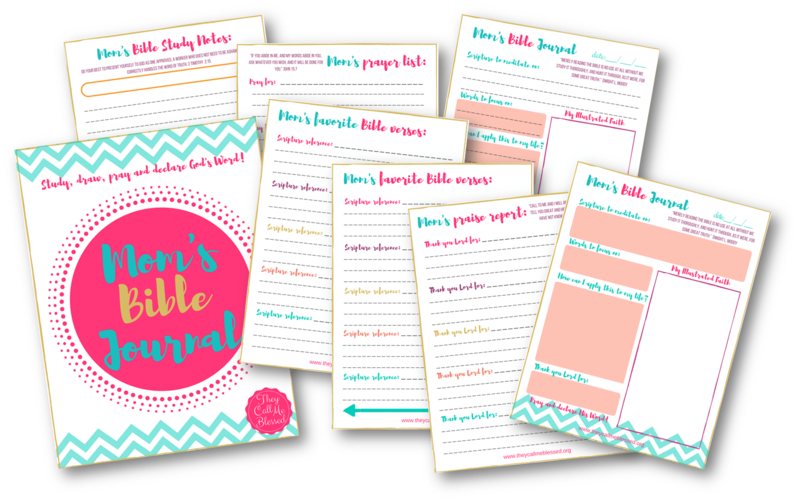 You will love this printable Mom’s Bible Journal! Want the US letter size instead? Click here! This might be a silly question, but how do you punch this for the happy planner? I have an outdated one and have been looking for replacements for it, and I love this one, just not sure how to make it work with the rings! Here is a referral link to the regular Happy Planner puncher on Amazon https://amzn.to/2IHAAGu. hi! I keep looking for the hard copy version of the mom’s daily journal. I”m not looking for the printable. what is the link? thanks!